James is a true professional with an outstanding local knowledge of Orange County. He has been my agent for the last 10 years and has listed and sold 2 homes for my wife and I while helping us to find and purchase two homes during that time. If you are looking to buy or sell, James is a great guy to go to for those services! James helped us sell and buy our last properties about 2 1/2 years ago. That was a stressful event (coordinating a sale with a purchase), but he helped coordinate and ensure everything that needed to happen did. We got the best price on our sale and he helped us quickly find the right purchase for our family. Since then he’s been a valuable asset when we have questions about our home or the market in general. Refer a friend and we will donate 10% of our commission to a charity of your choice upon closing the transaction. We carefully collected the most useful information for the home buyers and sellers. Our goal is to provide the most professional and personal service as possible. This approach has earned the trust of hundreds of Orange County families who contact us for all their real estate needs every time they buy, sell, rent or invest. Our clients also recommend us to their friends and family on a regular basis because we go above and beyond for them. The recommendations of our satisfied customers mean that our client base continues to rise. Contact us today for all your Orange County real estate needs. Looking to Buy, Sell Or Lease A Property? With American Realty Services, you can easily search new condos, multi-family homes and townhouses and homes for sale in Orange County, California. As leading estate agents and solicitors, we cover every aspect of the residential property – saving money for buyers, helping owners achieve higher sale prices and managing all facets of the investor-owners’ lease portfolios. Selling: We tackle every aspect of selling your property. Listing your property at the right price the first time by market analysis, Prepare your home to sell, Listing your home, Getting Buyers to make good offers, Handling negotiations, Handling inspections and repair agreements, and Getting to the Closing table. Buying: We find properties, Submit offers, Handle inspections and repair agreements; Negotiate Price, Set up Closings, and Make sure you are protected. Leasing – For tenants: We help short and long-term leasing tenants to find the best property in the best location with the most desirable terms. Leasing – For owners: We provide full service from inspection, maintenance, and marketing to lease preparation and rent collection; ensuring your properties are fully compliant with the leasing legislation. American Realty Services offers a personalized and unique way to search for homes for sale in the Orange County, California. Our team will do the work for you unlike other firms where they leave you to search for homes on your own. Call us today to have an experienced real estate agent find your dream home! We have a large listings’ database of featured properties to help you find the residential property relevant to your search, displaying all videos, photos, personal profiles, floor plans and detailed services. Give us a call and we will send you listings of homes that fit the description of what you are looking for. Precise information like size, price, location, availability and included facilities are provided to help you make informed decisions for busying/selling and leasing property in California. Using American Realty Services to buy, sell or rent properties is fast, safe, and stress-free. 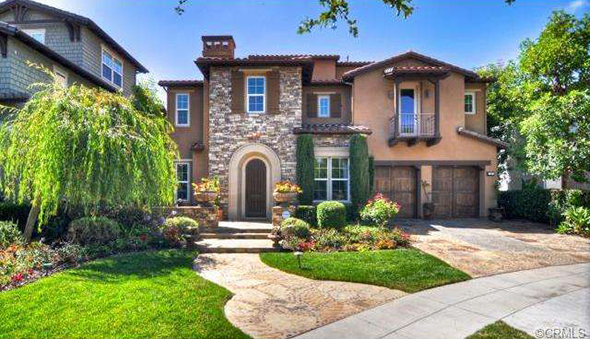 You will be able to save valuable time and resources, while getting informed about the latest properties and homes for sale in the Orange County, California. Start your search for a dream home, condo unit or land for residential use for sale or for lease. Contact us today!